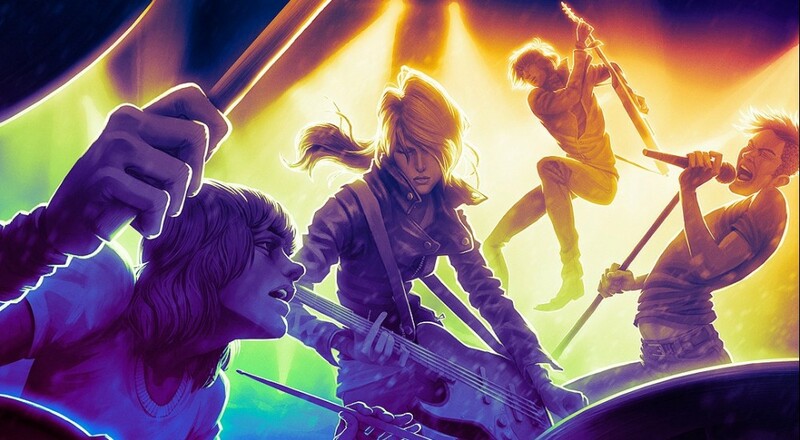 Start warming up those vocal cords, tuning the guitars, and tightening those drum skins, Harmonix has revealed Rock Band 4's final setlist when the game arrives next month. I know I'll be crooning along to Presley's "Suspicious Minds" and Morrison's "Brown Eyed Girl." .38 Special - "Caught Up In You"
4 Non Blondes - "What’s Up?" Brad Paisley ft. Keith Urban - "Start A Band"
Brandi Carlile - "Mainstream Kid"
Cake - "Short Skirt/Long Jacket"
Dream Theater - "Metropolis - Part 1 - 'The Miracle And The Sleeper'"
Duck & Cover - "Knock 'Em Down"
Gary Clark Jr. - "Ain’t Messin ‘Round"
Halestorm - "I Miss The Misery"
Heart - "Kick It Out"
Heaven’s Basement - "I Am Electric"
Imagine Dragons - "I Bet My Life"
Johnny Blazes and the Pretty Boys - "Cold Clear Light"
Lightning Bolt - "Dream Genie"
Mark Ronson ft. Bruno Mars - "Uptown Funk"
The Mighty Mighty Bosstones - "The Impression That I Get"
Mumford & Sons - "The Wolf"
Tijuana Sweetheart - "Pistol Whipped"
R.E.M - "The One I Love"
Rick Derringer - "Rock and Roll, Hoochie Koo"
Rush - "A Passage To Bangkok"
Slydigs - "Light The Fuse"
Soul Remnants - "Dead Black (Heart of Ice)"
Spin Doctors - "Little Miss Can’t Be Wrong"
The Warning - "Free Falling"
White Denim - "At Night In Dreams"
Rock Band 4 arrives October 6 with a "just the game" option, a guitar bundle, and a "the whole band" bundle. Page created in 0.4599 seconds.